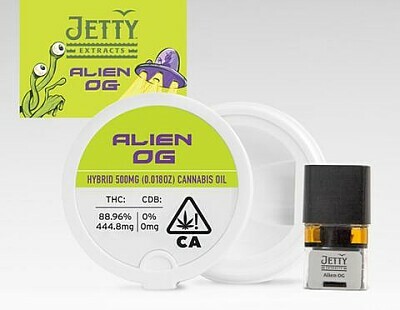 Alien OG is an otherworldly-named, California-grown hybrid strain that we've extracted, refined and perfected. Its citrus, pine, and earth flavors are authentically Alien because we use the strains very own cannabis terpenes in every hand-crafted batch. Testing around 89% THC, Alien OG PAX Era Pod contains 500 mg gold distillate.